I just started to grow mine. Ive been natural all my life as a black male, but the way we were raised, men did not have hair. So i never wanted long hair or dreads and still do not now, but I do wanna grow the top out like a high top fade, but in my natural curl pattern. Right now ive prob got a good 2 centimeters lol or 1 eighth of an inch. So I hope i can get a good 5-7 inches on top and bald all the sides and back and leave the curls on top. I hope i dont get frustrated and cut it off because I really hate hair bc im always so used to being bald....but i really want this new look. So wish me luck. 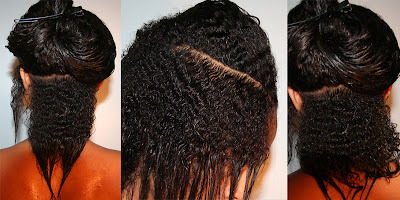 I follow black onyx on youtube...my favorite natural hair girls are TAREN916 and NAPTURAL85 and ORGANIC LOC.